Born: 27 October 1897, Rouxville, Free State, South Africa. Died: 1 March 1962, Pretoria, South Africa. Michiel Wilhelm Henning, veterinary scientist, was the son of Christiaan Rudolf Jacobus Henning and his wife Anna Maria, born Smith. After matriculating at the Boys' High School in Worcester in 1912 he studied at Victoria College, Stellenbosch, and at Grey University College, Bloemfontein. In 1915, with four other South African students, he proceeded to the Royal Veterinary College, Dublin, to study veterinary science. All four qualified (MRCVS, Dublin) in 1919. Henning was awarded the second Fitzwigram (or Fitzwygram) prize, awarded annually to the two best veterinary students in the British Isles. He started his career in South Africa at Utrecht, KwaZulu-Natal, as a district veterinary surgeon in the Division of Veterinary Field Services in 1921. However, the next year he was promoted to senior research officer and transferred to Onderstepoort, where he conducted research on plant poisons, collecting plants both locally and at Grahamstown. He also lectured in anatomy at the Veterinary Faculty of the Transvaal University College from 1922. In 1925 he was appointed professor of veterinary science in the Faculty of Agriculture of the same institution, which some years later became the University of Pretoria. He held this position until his retirement in 1954. From 1930 until his retirement he was also a guest researcher at the Onderstepoort Veterinary Research Institute. 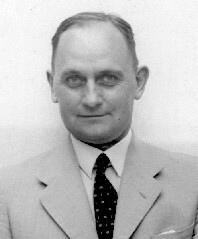 In 1938 Henning was awarded the DVSc degree by the University of South Africa for his thesis The antigenic structure of salmonellas obtained from domestic animals and birds in South Africa. He received international acclaim as an authority on salmonellas, a topic on which he published some 15 papers. Other papers by him dealt with poisonous plants, tuberculosis, viral abortion in horses, and other topics. However, he was best known for his monumental textbook Animal Diseases in South Africa (1932, with subsequent editions in 1949 and 1956). In later years he studied the husbandry of calves and published a successful textbook on this subject in Afrikaans in 1951. It was later translated into English as The calf... (1962). Henning became a member of the South African Association for the Advancement of Science in 1926 and was subsequently elected a life member. In 1933 he was elected a member of the Academie Veterinaire de France. The following year he received a Rockefeller Foundation Fellowship which enabled him to do research in England and continental Europe. In 1961 he was awarded the Havenga Prize for Medicine by the Suid-Afrikaanse Akademie vir Wetenskap en Kuns. He was survived by his wife, Susara Johanna Henning, born van Rooyen. Doodsberig: Michiel Wilhelm Henning. Journal of the South African Veterinary Medical Association, 1962, Vol. 33, pp. 253-254. National Automated Archival Information Retrieval System (NAAIRS). http://www.national.archives.gov.za/naairs.htm Documents relating to Michiel Wilhelm Henning / M.W. Henning. Neitz, W.O. Havengaprys vir geneeskunde, 1961, toegeken aan emeritus-professor Dr M.W. Henning. Huldigingswoord. Suid-Afrikaanse Akademie vir Wetenskap en Kuns Jaarboek, 1961, pp. 25-26. Neitz, W.O. In Memoriam. Professor Dr M.W. Henning. Suid-Afrikaanse Akademie vir Wetenskap en Kuns Jaarboek, 1962, pp. 9-10. Obituary: Michiel Wilhelm Henning. South African Journal of Science, 1962, Vol. 58, p. 174.